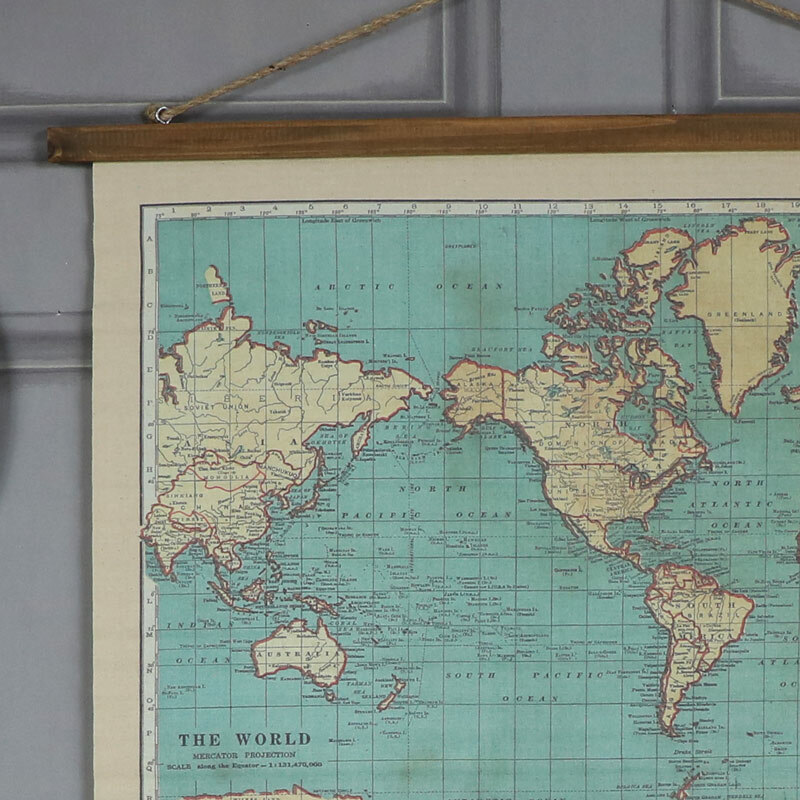 Travel the world from the comfort of your living room with this charmingly vintage world map. Beautifully detailed map of the world in a rustic, vintage style. Printed onto canvas and held between 2 wooden plinths and suspended from a length of rope. The muted colours give an aged look and add that lovely vintage feel. A great conversation piece and the perfect gift for the explorer and world traveller. 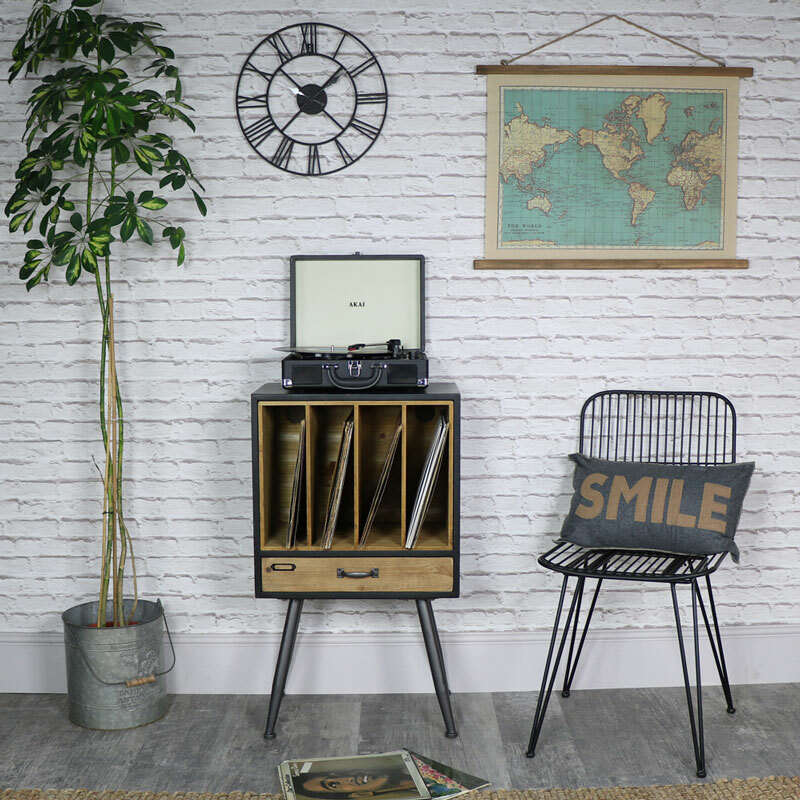 Hang in your living room, hallway, office or bedroom to add that distinctly rustic and vintage feel to your home decor. 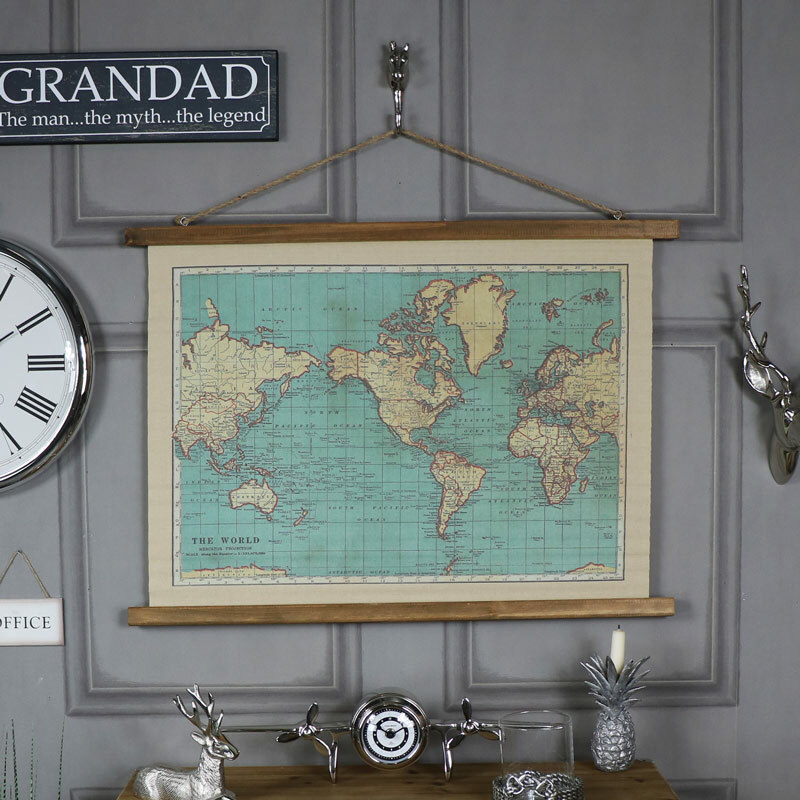 Travel the world from the comfort of your living room with this charmingly vintage world map. 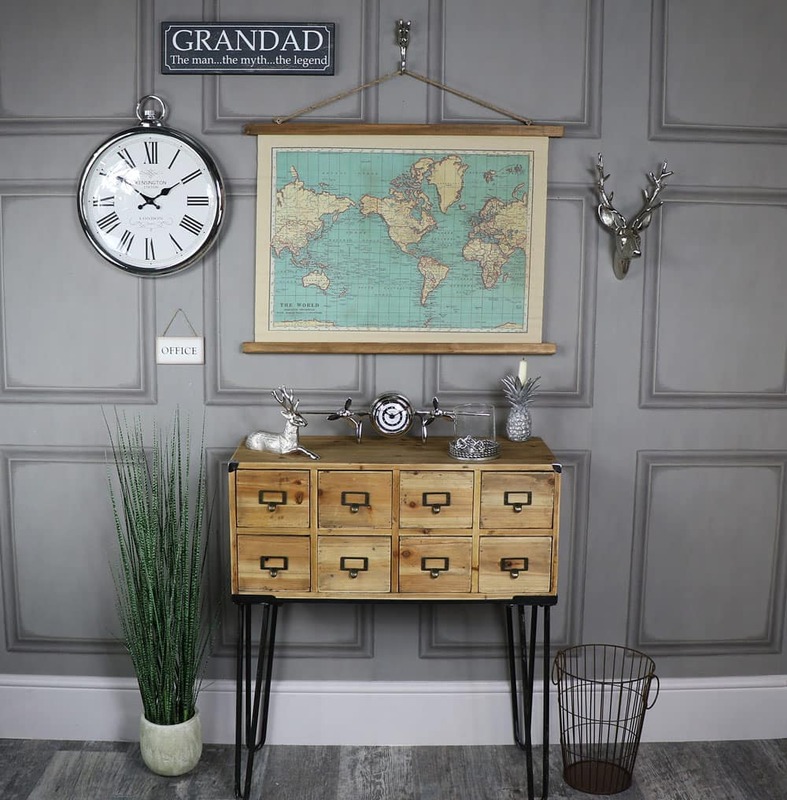 Beautifully detailed map of the world in a rustic, vintage style. Printed onto canvas and held between 2 wooden plinths and suspended from a length of rope. The muted colours give an aged look and add that lovely vintage feel. A great conversation piece and the perfect gift for the explorer and world traveller. Hang in your living room, hallway, office or bedroom to add that distinctly rustic and vintage feel to your home decor. Made from canvas with printed picture fixed between 2 wooden rods and hung from string. An excellent addition to our fantastic range of gifts and accessories. Perfect for friends and family or a treat for yourself. We have an array of wall prints and sculptures that will help to add a little something special to your home decor.